Dazhboh [«Дажбог»]. 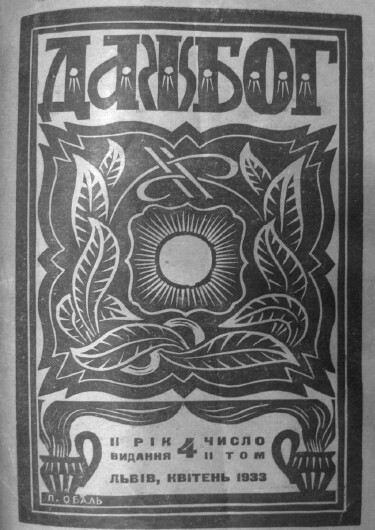 A literary monthly (semimonthly in 1935) of young nationalist writers in Lviv from 1932 to 1935. It was named after a Slavic deity Dazhboh. 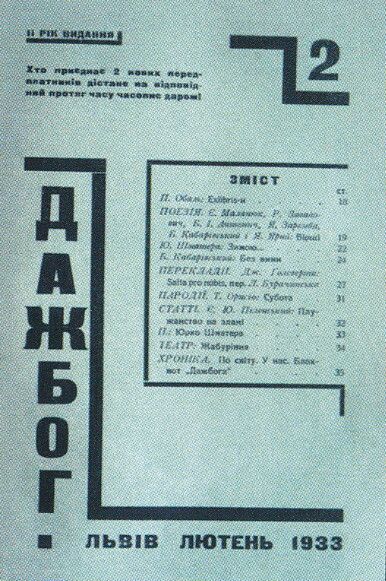 The editors were Yevhen Yulii Pelensky (1932–4), Bohdan Ihor Antonych (1934), and Bohdan Kravtsiv (1935). Among the contributors were I. Atamaniuk, Ya. Dryhynych (Vadym Lesych), Roman Zavadovych, Vasyl Karkhut, Volodymyr Lasovsky, Stepan Lutsyk, Antin Maliutsa, and Bohdan Romanenchuk. Associated with the journal was the book series Literaturna Biblioteka, which included literary works by Antonych, Dryhynych, B. Kabarovsky, and Ulas Samchuk.